On Sunday, news came in that musician Sam Mehran had died aged 32. For many people, Mehran’s name will forever be associated with Test Icicles, the cult London band who found brief, bright success in the mid-2000s indie scene, but Mehran was also a prolific artist in the US underground, whether working alone (under names like Matrix Metals and Outer Limits Recordings) or collaborating with artists like Ssion, Ariel Pink, and James Ferraro. While he was never a famous artist, Mehran possessed an incomparable talent that belied his relatively low public profile. Test Icicles released one album, 2005’s For Screening Purposes Only, before immediately splitting up, but its three members went on to have extraordinary careers in the subsequent years. Dev Hynes would make leftfield folk as Lightspeed Champion before starting his most recognisable project, Blood Orange, while Rory Attwell would become one of the UK’s most in-demand rock producers, working behind the boards with bands like The Big Moon, The Vaccines, and Palma Violets. Mehran, on the other hand, returned to his home country, the USA, where he seemed to drift into obscurity. On message boards, fans would ponder his whereabouts: some said he was working in a record shop in either Portland or New York, others said that he’d grown bored of music and quit for good. In fact, he was still active in the American underground scene, and throughout the late 2000s and 2010s, he adopted aliases like Matrix Metals and Outer Limits Recordings to explore his fascination with sounds from the fringes, releasing a number of cassettes, CD-Rs, 7” singles, and LPs. I was a huge Test Icicles fan as a teenager, and For Screening Purposes Only has stayed with me more than any other album from those years. Even today, it sounds incredibly inventive, an anarchic collision of genres – indie rock, dance punk, screamo, hip hop, thrash metal – that no other band has matched. It was only after I discovered Outer Limits Recordings, however, that I realised just how talented a musician Mehran was. Stylistically, Outer Limits was a world away from his work with Test Icicles, but it still fizzes with the same dynamism, and it still feels alive with possibility. For my money, Outer Limits’ 2010 single “Julie”/“Plastik Child” is one of the best A and B-side combinations this decade; the songs demonstrate both Mehran’s advanced talent as a melodic songwriter and his perceptive use of lo-fi sound, where he deploys cassette fuzz to somehow both obscure and enhance his unparalleled technical skills. After hearing it, I delved deep into Mehran’s discography and was surprised not just by the diversity, but the consistency. As the world comes to grips with his passing, here is just some of the music that illustrates the sheer breadth of his ideas. 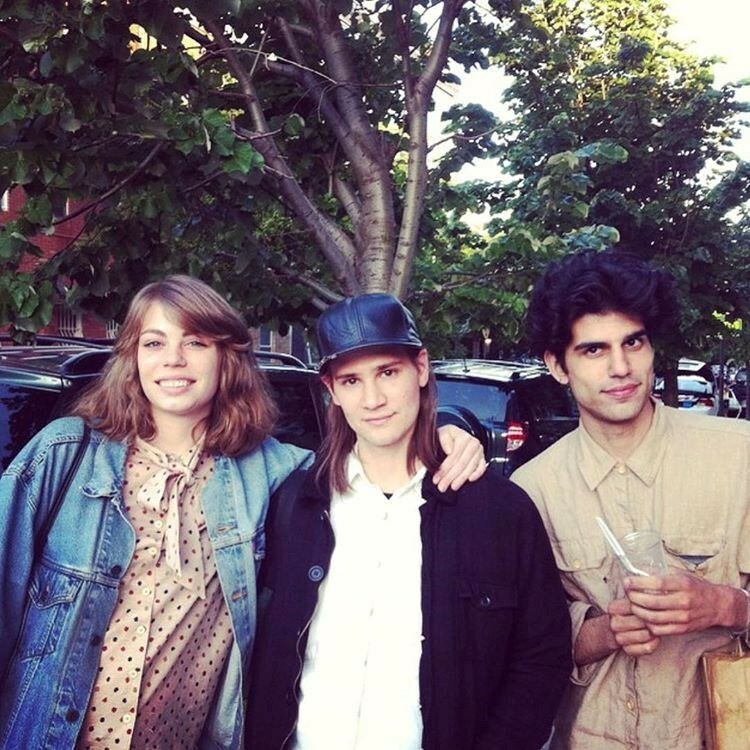 Mehran was still just a teenager when Test Icicles released their debut single, “Circle. Square. Triangle.”, but it would be their biggest and most enduring song. Unlike a lot of indie records at the time, its scratchy guitars are not the main focus; instead, the song favours a dance rhythm, opening with a drumbeat that’s mixed to emphasise the hi-hats. Combined with its hooky chorus, it’s no wonder the song was such a staple of indie clubs in the years after its release. Still, “Circle. Square. Triangle.” wasn’t even the most representative of Test Icicles’ sound. Songs like “What’s Your Damage”, with its Rage Against the Machine-esque riff, probably capture the band’s raw energy better, while their collaboration with Lethal Bizzle on the “Mind Your Head” b-side (where Sam Mehran adds a grinding guitar to producer Dexplicit’s grime riddim) demonstrates their willingness to cross genres. Mehran’s work as Matrix Metals slotted into a wider musical movement that the press dubbed ‘hypnagogic pop’. This style of lo-fi music mined the farthest reaches of the western cultural memory and spat it out in a particularly deranged form that drew from VHS tapes, 1980s infomercials, and early MTV broadcasts for inspiration. Hypnagogic pop would later inspire online underground sounds like vaporwave, but Flamingo Breeze, arriving in 2009, was far ahead of this trend. It uses lysergic synth loops to startlingly strange effect, repeating them and drawing them out over extra long runtimes. The effect is eerie and hypnotic, and spiritually psychedelic. Matrix Metals also demonstrated another of Mehran’s talents – a knack for finding vivid and evocative names for his projects. His varied output also saw him adopt aliases like Blues Runner, Wingdings, and Flashback Repository. “W.O.T.M.”, short for “Walking on the Moon”, is taken from a 2013 compilation collecting some of the best songs that Sam Mehran recorded as Outer Limits Recordings, many of which were previously unreleased. It’s a spacey, dreamy song that sounds so simple, but the way that it slowly unfolds, building to a rip-roaring guitar solo, is so deceptively subtle that it basically feels like magic. It’s a truly musical piece of music, and one that shows that transcendent pop music can come from even the most obscure artist. Mehran worked closely with Gunk TV Records throughout his life, and produced a number of loose releases with the label’s Zak Mering. Green Crack, one of their joint projects, was Mehran at his freest and most unhinged. For all the weirdness and daft humour on display in these hi-tech noise collages, tracks like “GC5” also have a deranged sense of funk. Besides his many solo projects, Mehran also worked as a producer for a number of artists. As ever, he covered a huge range of styles, seemingly as comfortable working alongside visual artist Ryan Trecartin on Lauren Devine’s hyperreal pop as he was co-producing cult musician Ssion’s collaboration-packed O album just this year. Last year, he produced former Friends artist Samanth Urbani’s solo EP Policies of Power. The two artists were perfectly matched, as standout track “Hints & Implications” shows, with Mehran and Urbani’s shared interest in ambitious alt-pop that’s both sonically adventurous and emotionally developed shining through. The EP also featured “1 2 3 4”, originally released in 2015, which acted as a quasi-Test Icicles reunion, with a synth line from Dev Hynes.